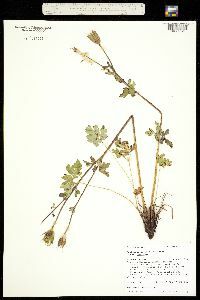 Stems 15-80 cm. 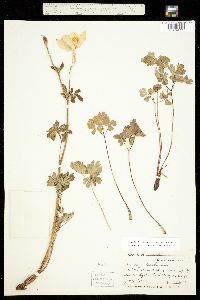 Basal leaves (1-)2(-3)×-ternately compound, 9-37 cm, much shorter than stems; leaflets green adaxially, to 13-42(-61) mm, not viscid; primary petiolules (10-)20-70 mm (leaflets not crowded), glabrous or occasionally pilose. 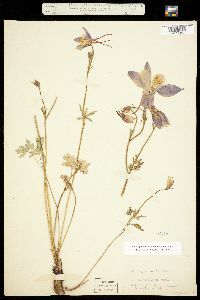 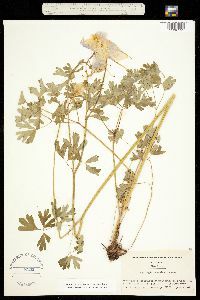 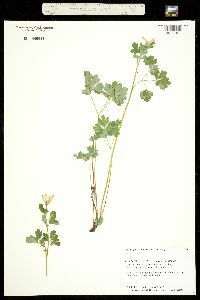 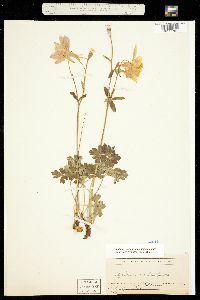 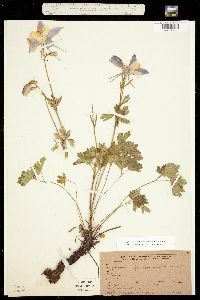 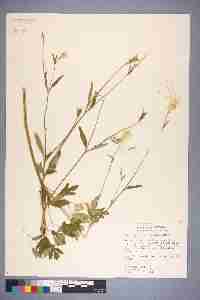 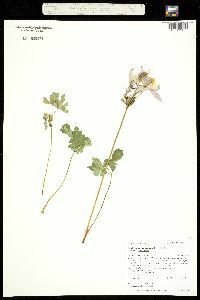 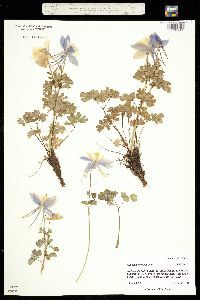 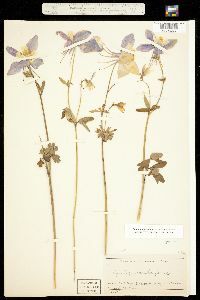 Flowers erect; sepals perpendicular to floral axis, white, blue, or sometimes pink, elliptic-ovate to lance-ovate, 26-51 × 8-23 mm, apex obtuse to acute or acuminate; petals: spurs white, blue, or sometimes pink, straight, ± parallel or divergent, 28-72 mm, slender, evenly tapered from base, blades white, oblong or spatulate, 13-28 × 5-14 mm; stamens 13-24 mm. 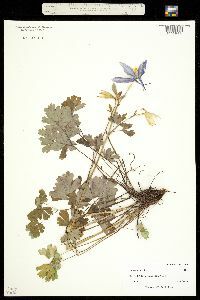 Follicles 20-30 mm; beak 8-12 mm. 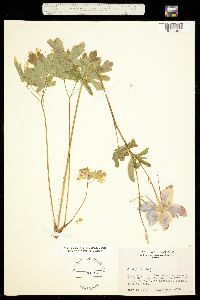 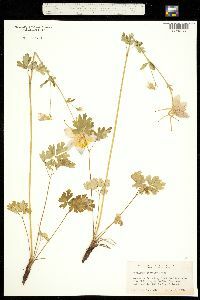 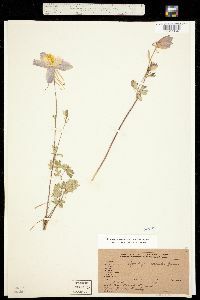 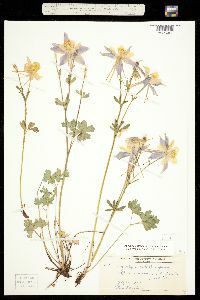 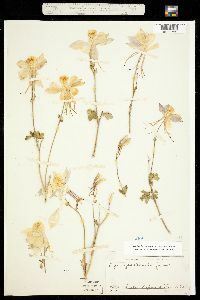 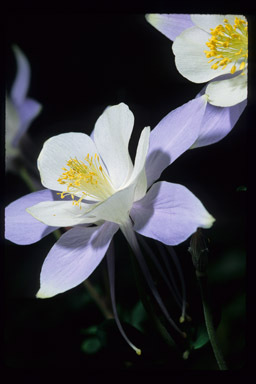 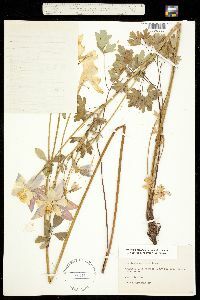 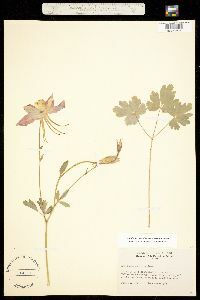 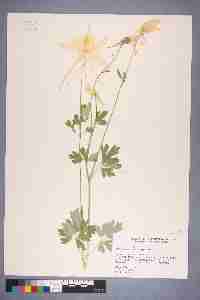 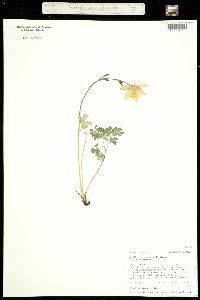 Aquilegia coerulea shows considerable geographic variation in flower color and in size of different floral organs, reflecting adaptation to different pollinators in different parts of its range (R. B. Miller 1981). 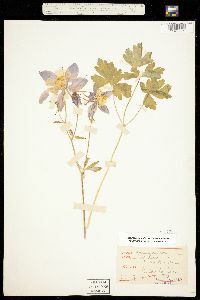 Four weakly differentiated varieties are recognized.